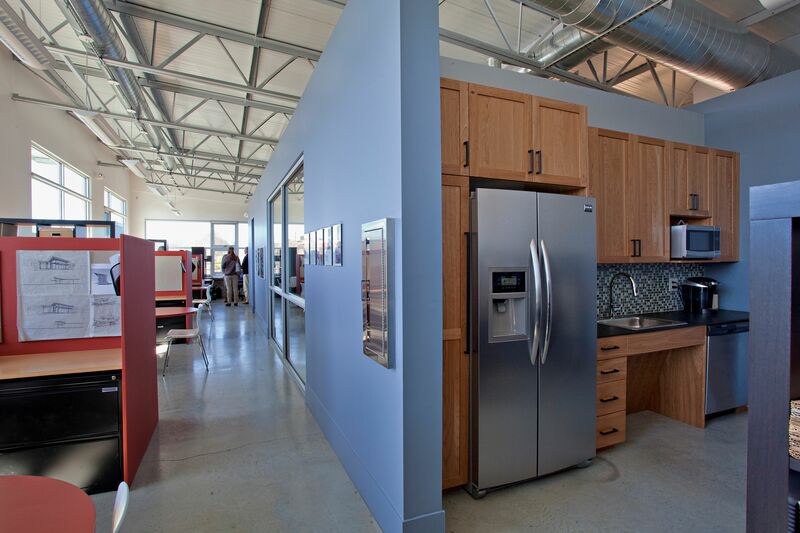 LEWISVILLE, Texas (December 2, 2013) – Insulated metal panels from Metl-Span proved to be a perfect component for the renovation and conversion of a 1940s masonry warehouse to an energy-efficient office facility. 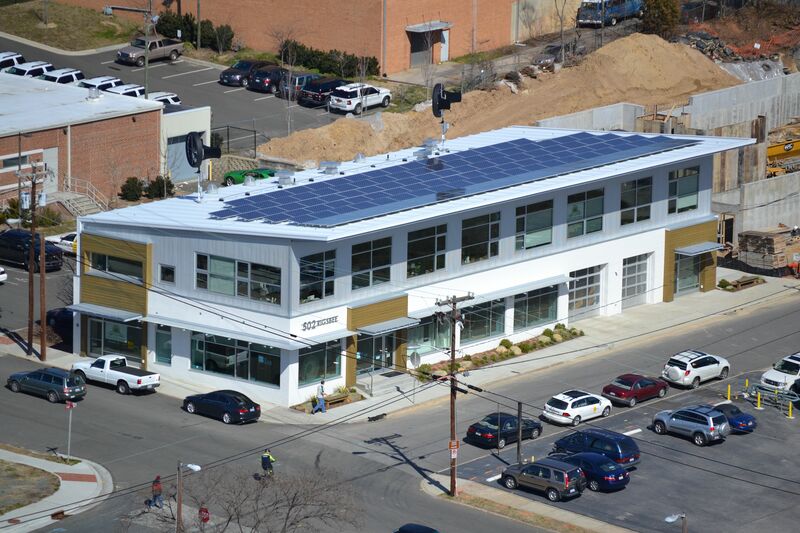 BuildSense, a provider of architectural and construction services in Durham, N.C., specified Metl-Span insulated metal panels for its roof renovation in an effort to reflect the ideals of the company. 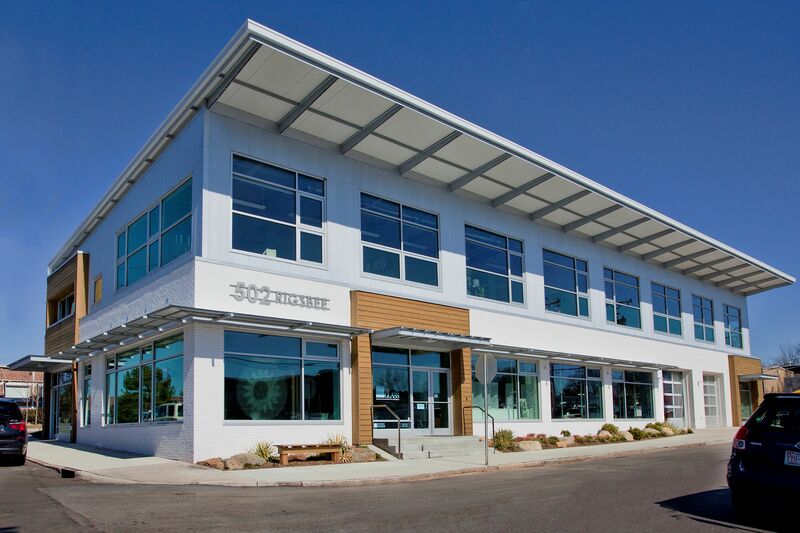 The goals included converting a one-story former farm equipment and auto repair building into a much more energy efficient two-story building, achieving a LEED Platinum rating as well as maintaining an appearance that still fit the neighborhood. Standing seam insulated metal panels helped BuildSense meet its goals. Most buildings in the warehouse district employ metal roofing, so aesthetically, the panels met the specifications. To help meet the energy efficiency requirements, the IMPs contain a six-inch urethane core. The outer 24-gauge panel is Polar White, to reflect sunlight, greatly reducing cooling loads in the summer. The 26-gauge Snow White inside panels serve as a reflective ceiling above the open web steel joists, making electrical lighting inside more efficient. They also provide an “industrial-chic” look, according to Mehlman. The standing seams serve as a place to attach photovoltaic panels to supply electricity within the building. Mehlman says BuildSense likes to use “off-the-shelf” products in unconventional methods to achieve its goals. Metl-Span’s CF42R insulated standing seam panels are more commonly used on refrigerated buildings. Metl-Span (www.metl-span.com) provides the most energy efficient and cost-effective insulated metal wall, partition, ceiling and roof panels available today. The company is a recognized leader in the advancement of insulated panel technology, with more than 200 million square feet delivered to the industry over the last 40 years. Metl-Span is a service-oriented company that responds to customer's needs on time with superior technology by constantly enhancing its products and production equipment. The insulated metal panels are lightweight, yet strong and durable, attributing to reduced costs for erection and structural support. They attach directly to the supporting structure, which eliminates multiple steps to construct the insulated roof and wall. 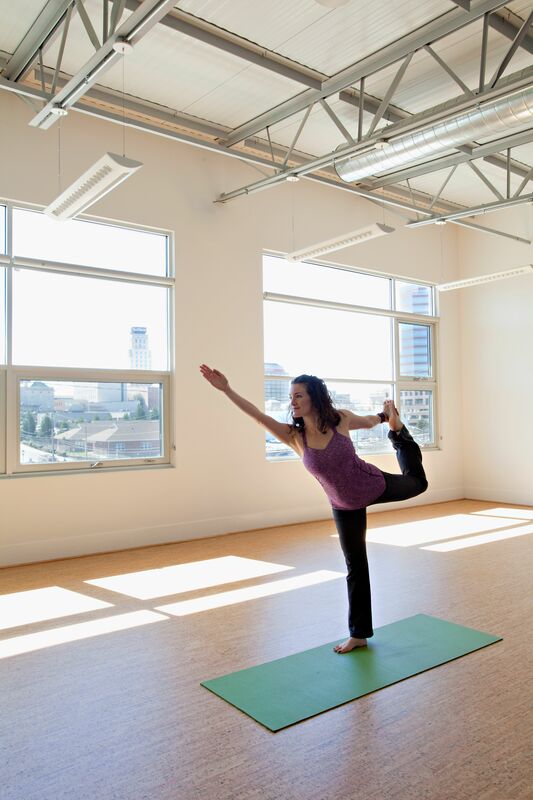 Faster building completion means significantly reduced construction and interim financing costs.